Creamy Crockpot Chicken Tikka Masala, It's Insanely Delicious & Addictive! With cooler weather approaching, many of us are anticipating even more reasons to utilize our beloved slow cookers! That’s why I was beyond THRILLED to find this life-changing Crockpot Chicken Tikka Masala recipe. Whether you love Chicken Tikka Masala or you’ve never even heard of it, you’re in for a treat. 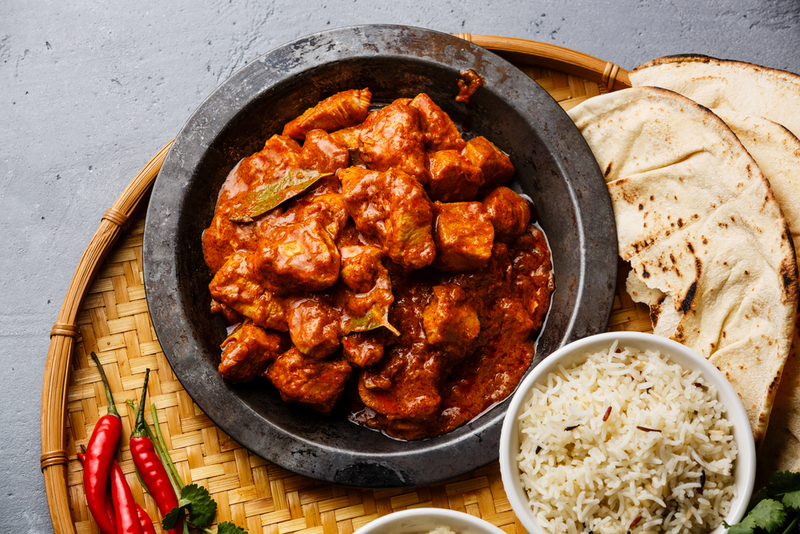 Chicken Tikka Masala is a staple menu item at every Indian restaurant, and it’s easy to see why. This divine dish is made of succulent chicken smothered in a creamy, spiced tomato sauce. However, it tastes SO much better when it’s homemade — especially at the convenience of a crockpot. This effortless dish is guaranteed to become your new favorite comfort food. The slow cooker recipe we found allows the flavors to develop on a level you never even knew existed — until now. If you’re looking for a delicious way to warm up on a chilly night, then you must try this CREAMY Crockpot Chicken Tikka Masala! It’s so flavorful and hassle-free that you’ll want to eat it every day, making it every home cook’s dream come true. Grease the inside of your crockpot bowl with a bit of olive oil. Set aside. Combine all ingredients (except for bay leaves, heavy cream, arrowroot powder, and lemon juice) in a large bowl. With a large large spatula, stir to combine everything, making sure that the chicken is well coated. When done, in a small bowl combine heavy cream and arrowroot powder (or cornstarch), and gently stir into the mixture. Let cook an additional 20 minutes to thicken up.